I have just completed my first full week in Nairobi. The most striking feature has been the weather. It started by being relatively hot and humid. I was complaining about it to my new colleagues and they all said: "don't worry; by the end of this week, it will rain." Indeed, on Thursday it started raining hard and the weather has clearly moved on from sunny and hot to rainy and cool. There are at least three downpours every day, which makes traffic even worse than in normal conditions. I thought I would be able to wait until I had settled down in Nairobi permanently in November before I started looking for a new choir. I guess I really missed singing because on Wednesday night I started to search for the contact details of the Nairobi Music Society, which I had heard of by pure chance when in Paris. After trying out several outdated email addresses and phone numbers I had found on the Internet, I finally got the email of the President of the NMS (it is hidden in About of their Facebook page). So I wrote to Valerie Kent on Friday informing her that I was interested in joining the choir as soon as possible for their next concert. She called me back late that same evening. I could come and sing with them and several other choirs for a combined choir performance of Messiah on the very next day! Rehearsal started at 9.30 for a 15.00 performance. So I spent my Saturday singing Haendel's Messiah. 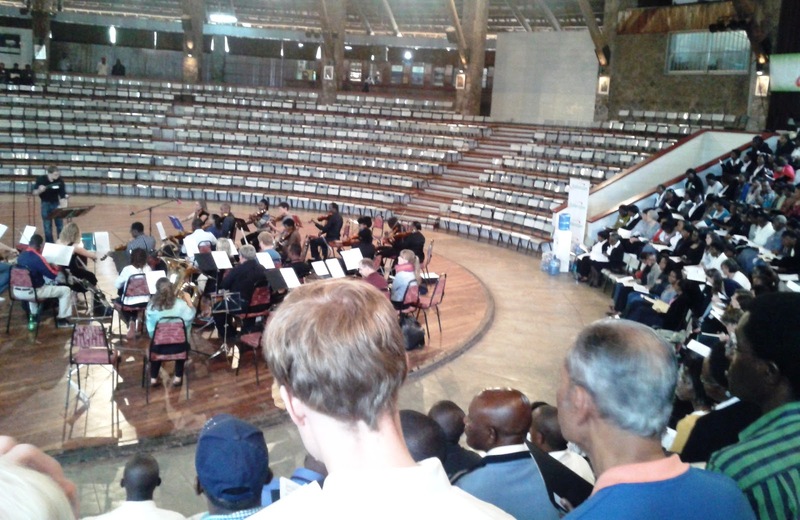 We were 400 singers and a full orchestra playing what was probably Mozart's orchestration of the piece, with a complete wind and brass section which I had never heard before. It was really exhilarating to sing and hear close to another hundred tenor voices behind me. After the smaller baroque versions I had sung with Choeur Varenne last year, and my last French concert with only 24 singers in the Métaboles choir last August, it was quite a change. The audience enjoyed it. They got up for a standing ovation as soon as the piece was over and they asked for more after the flowers had been given to the conductor Mark Statler and the commendable local soloists. Of course, we sang the Hallelujah chorus again. Such a shame that the weather was so bad. There was heavy rain in the morning and a long downpour at lunch time. 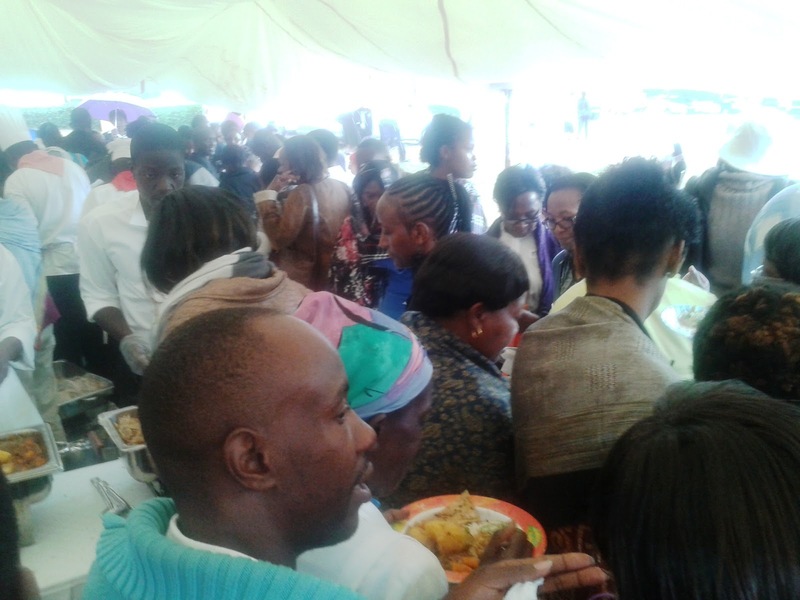 So instead of enjoying the pilau, chapati, curried stew and mixed salad that had been prepared for us under the sun on the lawn, we were probably a hundred taking turns huddling underneath the marquis to eat while standing in the mud. Nonetheless, after having sung four years with the Bangkok Music Society, I look forward to equally fulfilling music making with the Nairobi Music Society. The next programme will be the traditional Christmas concert with carols. Rasputina, Sister kinderhook, Filthy bonnet recording studio Co.